Create a modern wall hanging for your space. 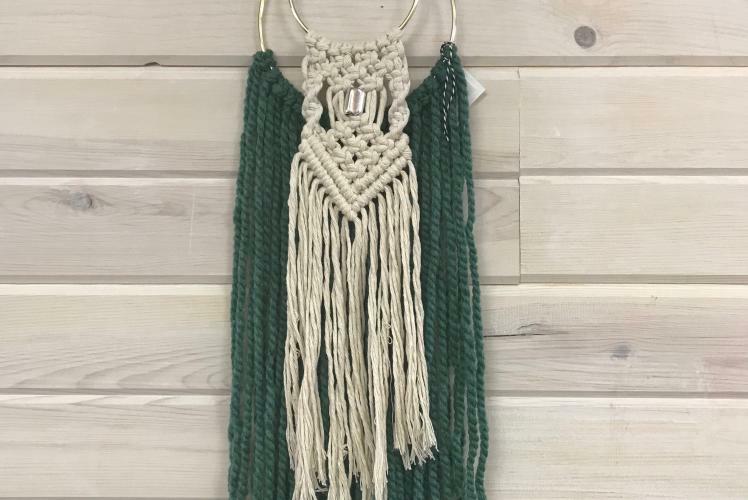 This class is for beginners as well as anyone who may have experience with macrame. 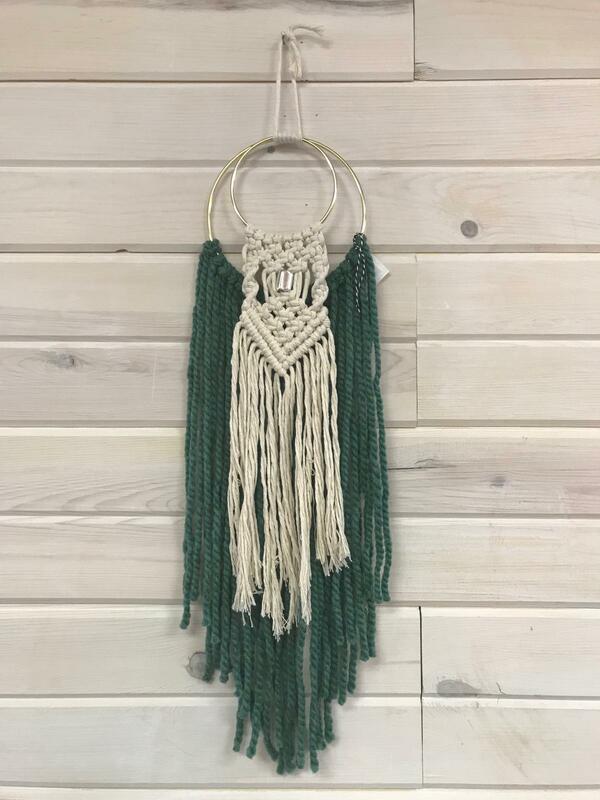 Instructor Julie Beaton will teach you the most commonly used knots to complete this BoHo style wall hanging. Choose from a variety of colors for the bottom layer as well as a variety of beads for the macrame. All materials included. Pre-Registration is required.